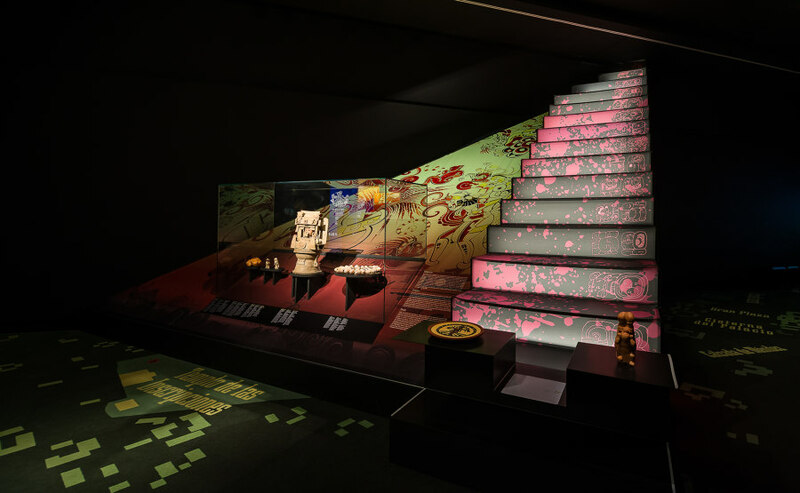 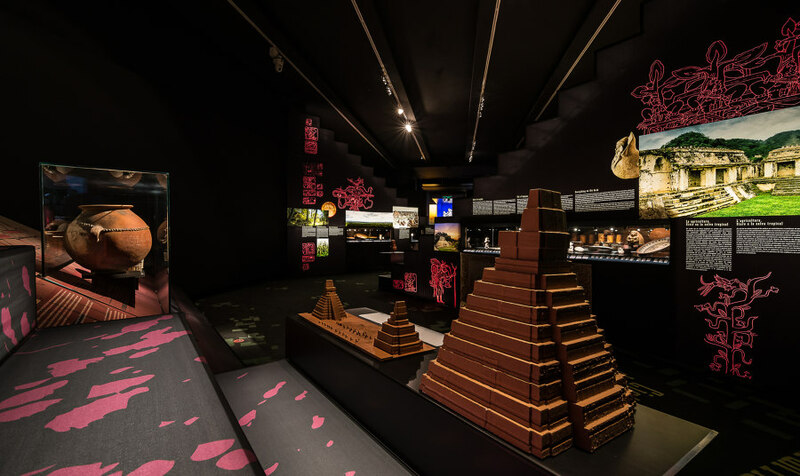 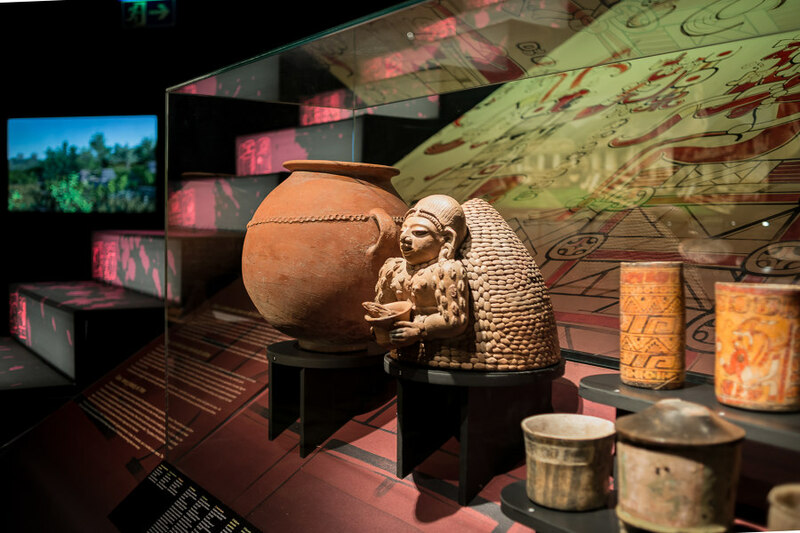 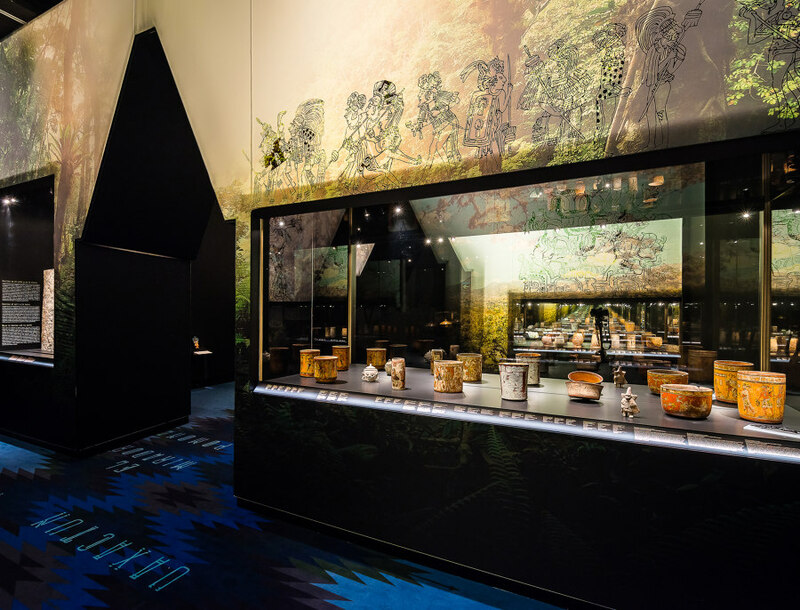 The exhibition Mayas, Enigma of The Lost Cities has a specific musealization for the MARQ after traveling with about 200 pieces and stopping over in the museums of Holland and Germany. 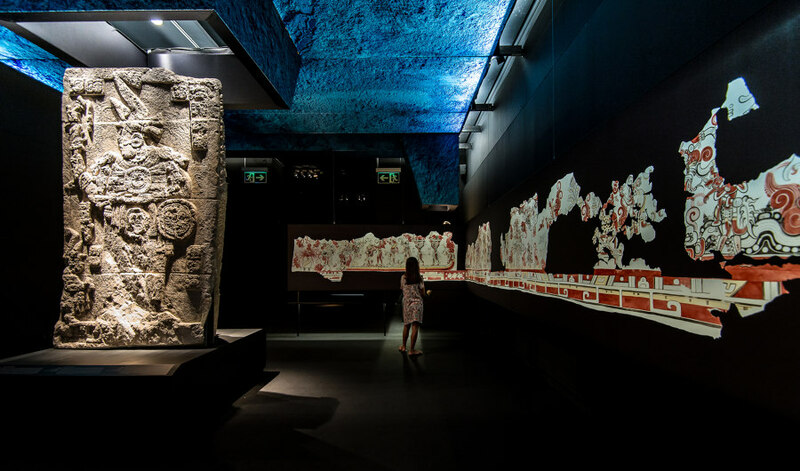 The expositive speech immerses us in the jungle, cradle of the Mayan culture, where the immense temples appear. 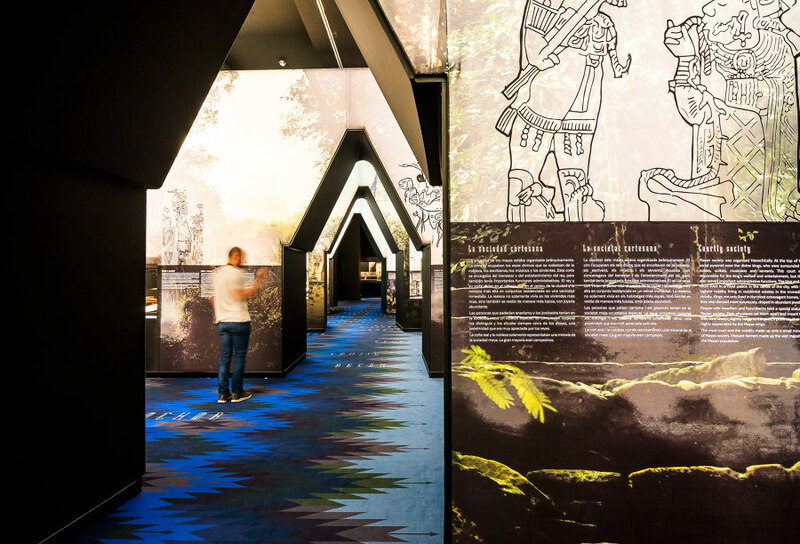 The museographic design inserts and enhances the different pieces between Mayan architecture and symbology and, also, makes us walk between and through the temples. 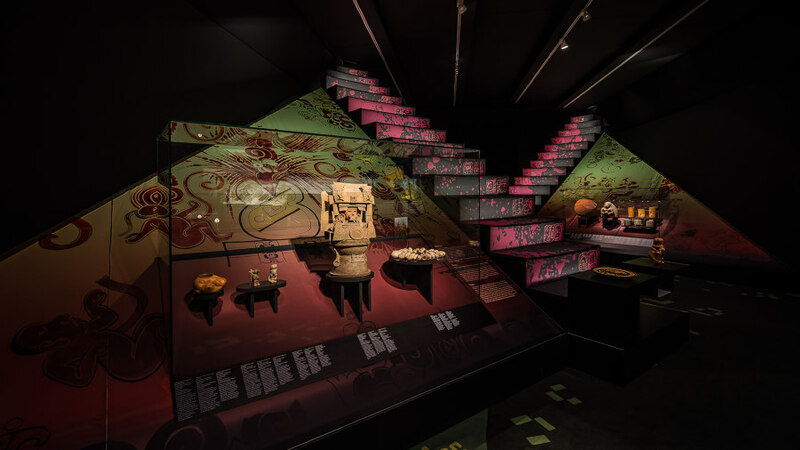 The first room is gone over through three segments of temples, in which are inserted the showcases and pieces. 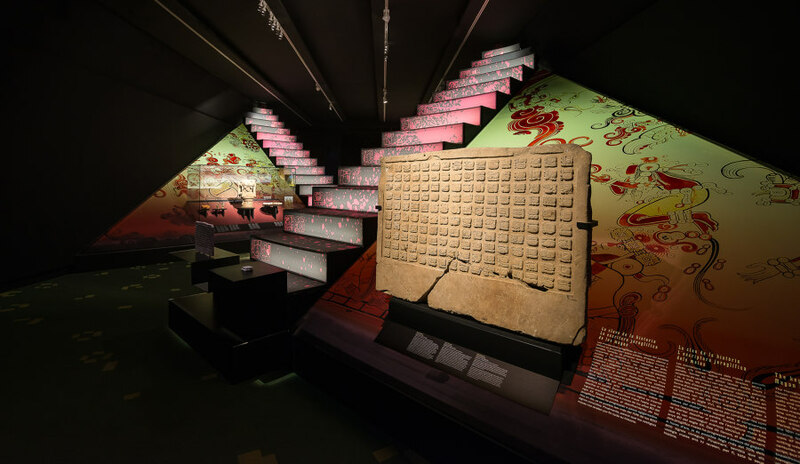 In the inclined part of the temple, the showcase remains unnoticed and gives way to the pieces that emerge directly from the temple thanks to an individual subjection. 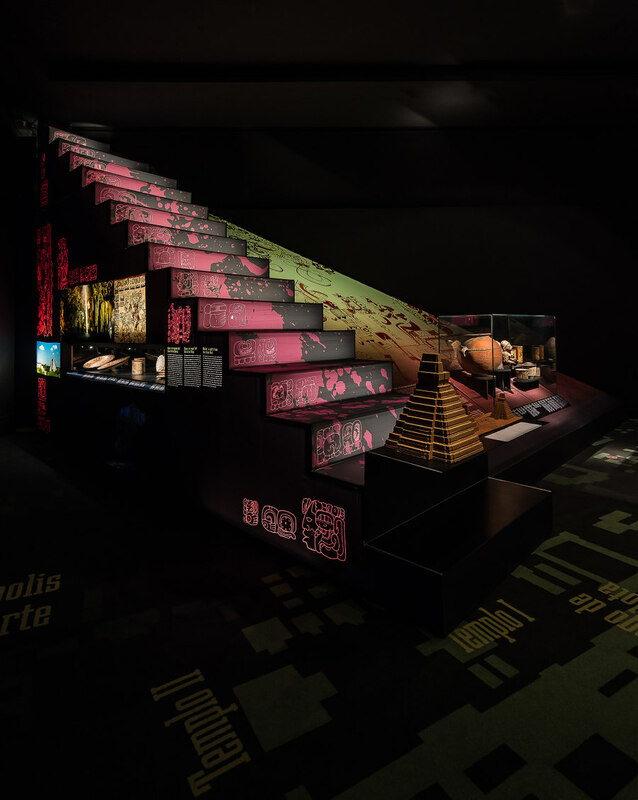 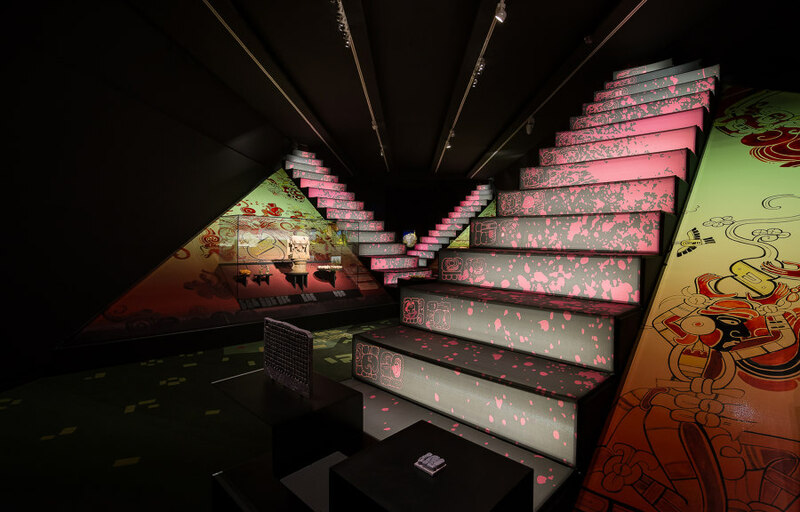 The temples’ graphic evokes the Mayan iconography and the Murals of San Bartolo and, in addition, creates together with the illumination a vibrant space of colour where pieces seem to float. 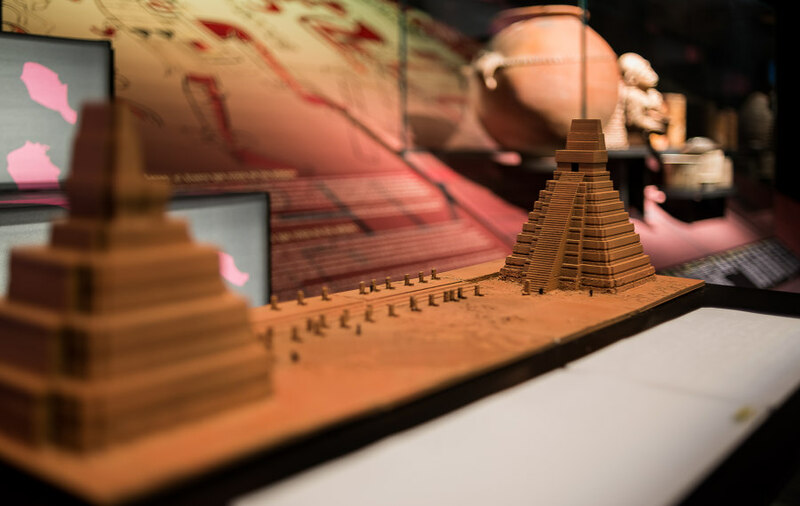 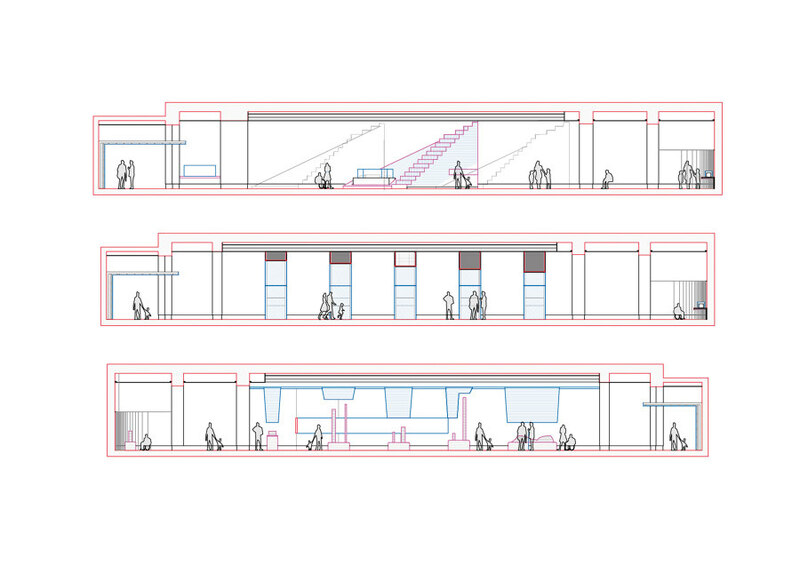 The didactics and accessibility are integrated in each segment of the temple thanks to the trays created at the beginning of the "stairs", on which the duplicates and/or braille are arranged. 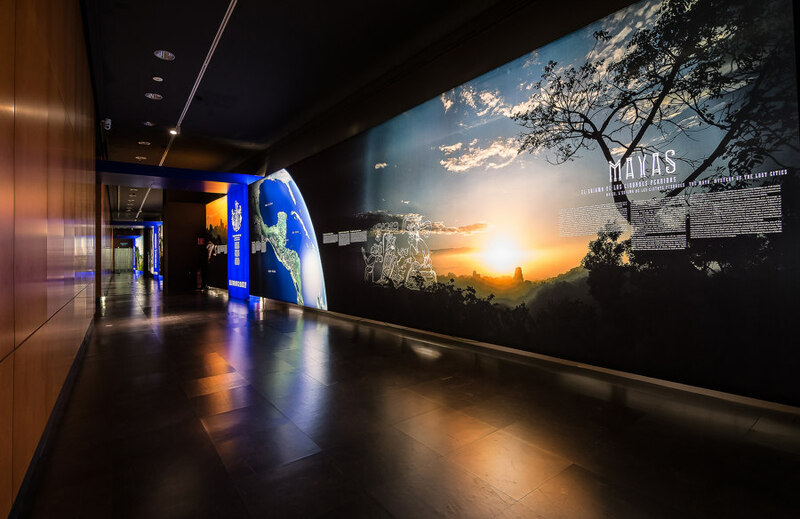 This way, it is able to visualize, touch and know everything at the same time. 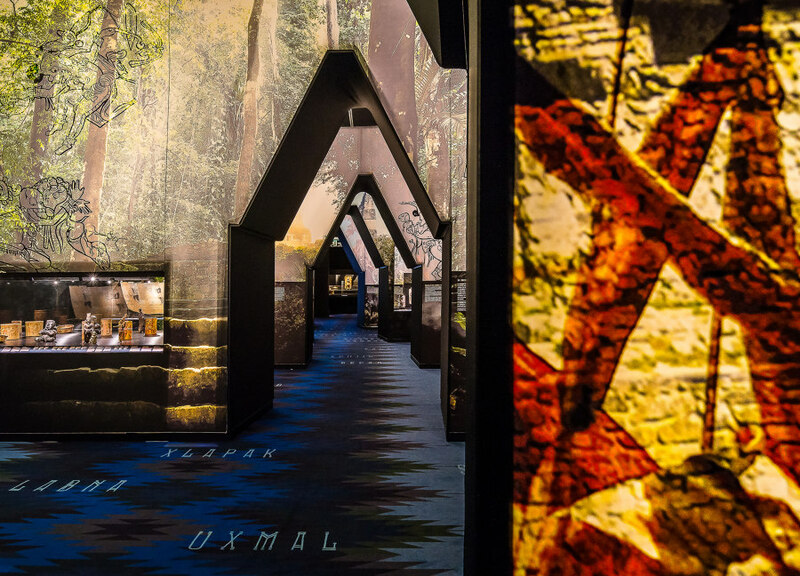 On the floor is a map of the city of Uxul, which we can walk to scale while we visit the exhibition. 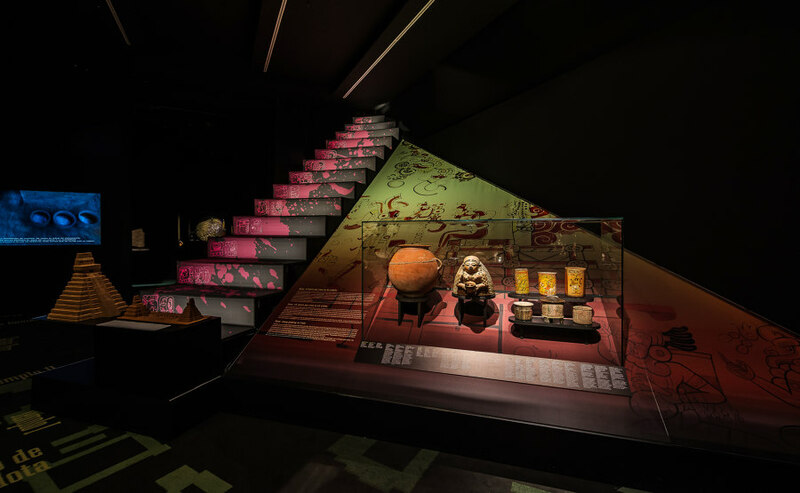 Room two leads us into the interior of the temples' architecture. 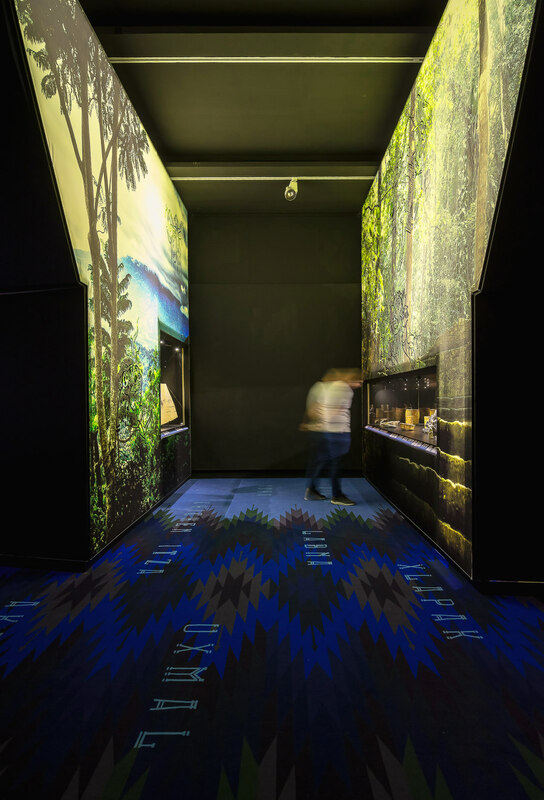 The room is divided by five lighted walls, in which a winding road is excavated through which the room can be traversed. 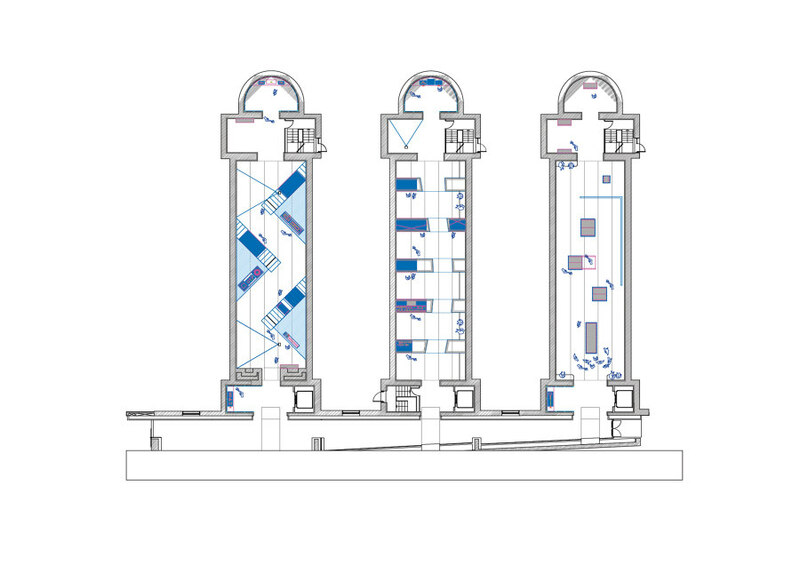 The section of the road evokes the interiors of the temples. 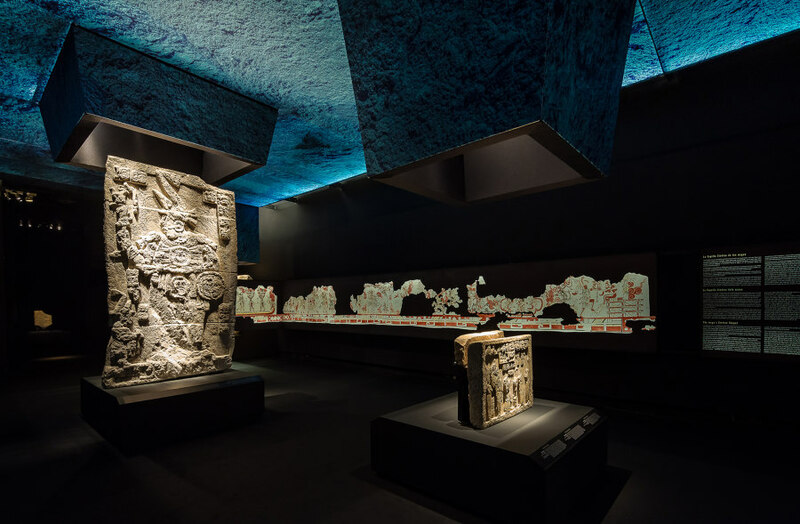 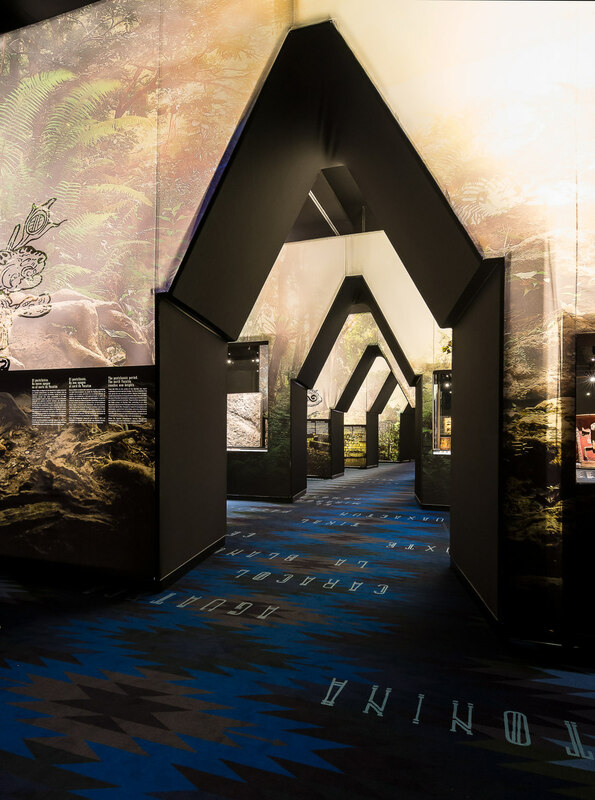 In the lighted walls are embedded the showcases where the pieces are shown and, at the same time, those lighted walls create the interior and, thanks to the graphic, show us the jungle along with Mayan symbolism. 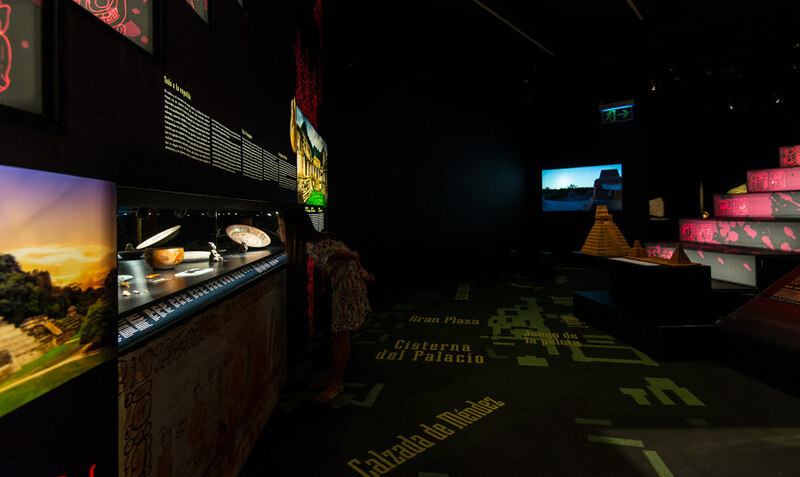 The floor of this room shows us locations and unique temples of the Mayan culture. 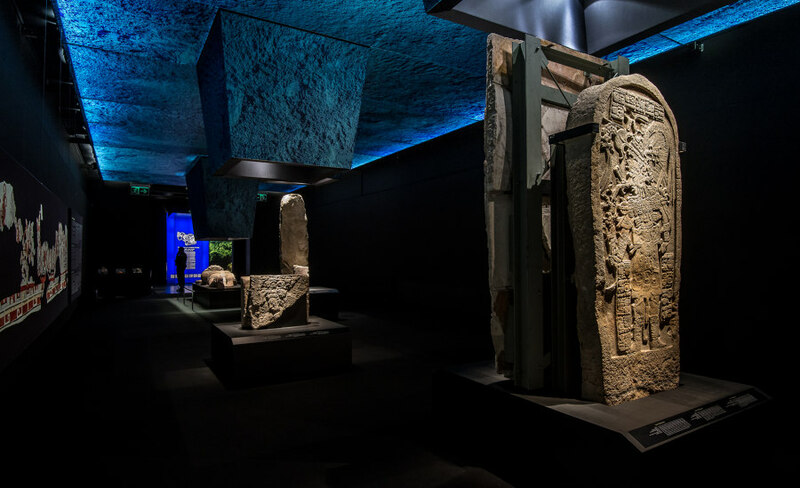 The third room is the one that contains the most important pieces, the sculptures, some of which reach more than 2 meters in height. 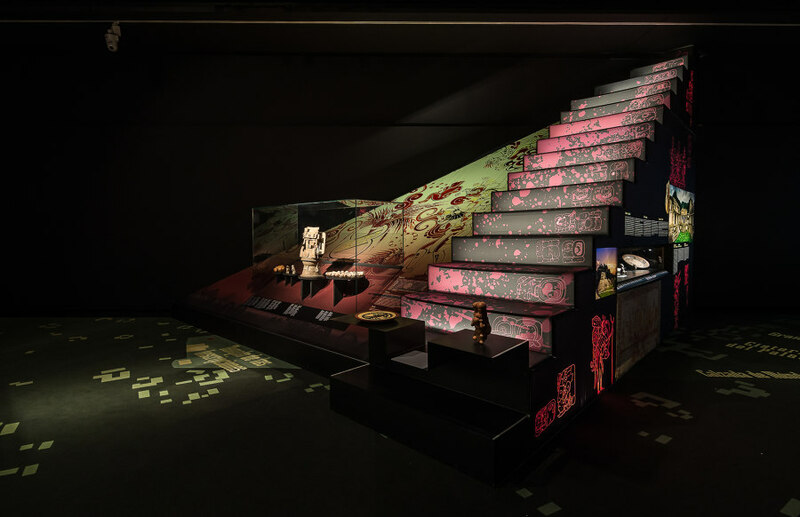 This room leaves the floor free, so that, the sculptures impressively emerge on a neutral and dark canvas that illuminates them individually. 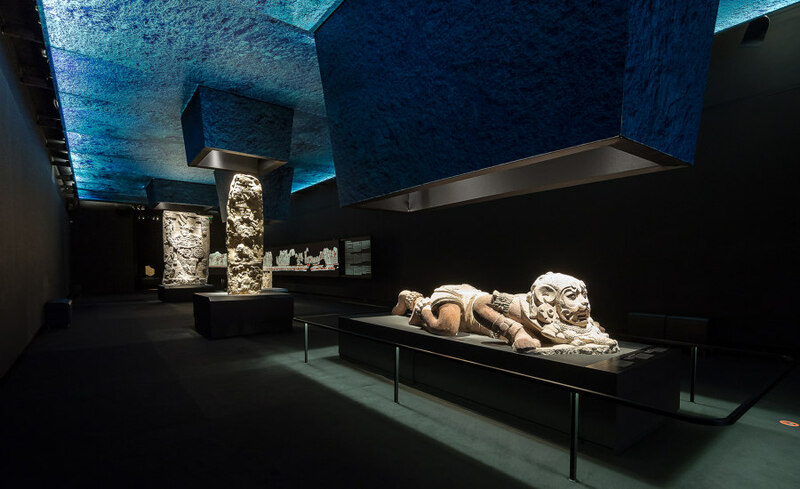 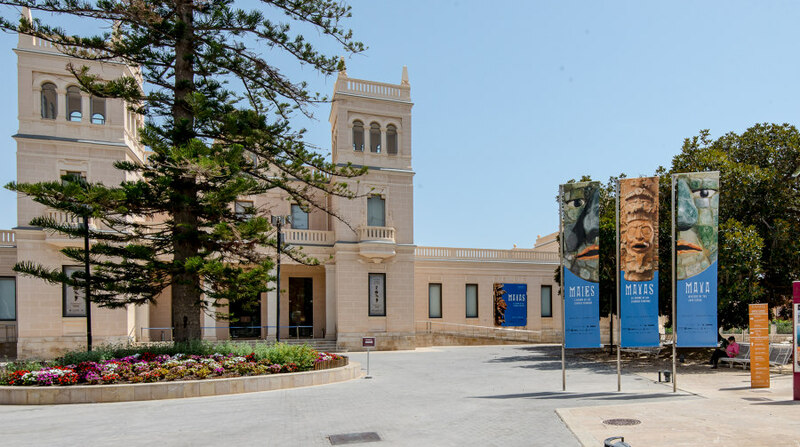 The architecture creates an earthy and "Mayan blue" colour, illuminated in a diffused way and from which stand out skylights that lightly enclose each of the sculptures. 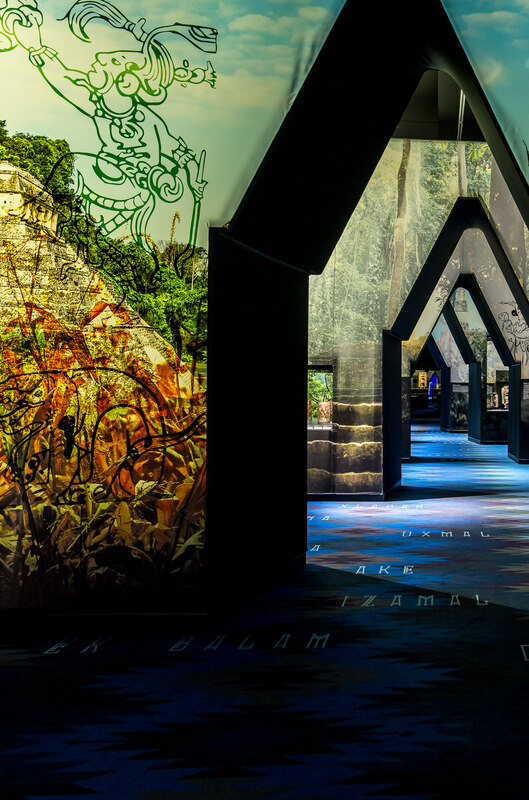 These skylights and the sky create a landscape that, reflected, show us an earthy and blue jungle sprinkled with trunk-pyramidal shapes that remind us of the Mayan cities that have been swallowed by the jungle. 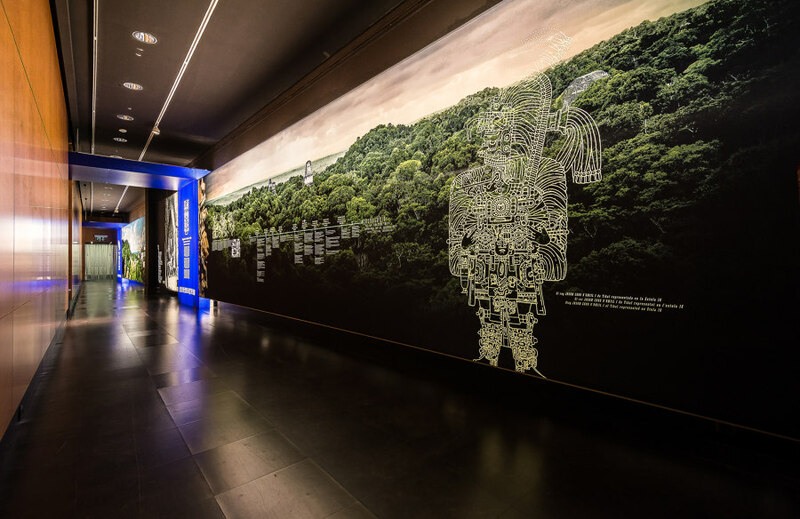 The room is subtly compartmentalized in its final part by the Murals of San Bartolo, which we can see in real size.